Cincinnati, March, 29, 2018 – A leading summer event in Paris for the past 30 years, this elegant and secret affair is now well on its way to becoming THE foodie event of the year! On September 15, 2018, Le Dîner en Blanc – Cincinnati will take place at a secret location. Participation to this unique event happens in three stages: Phase 1 is for members who attended the previous year; Phase 2 is for new members who are referred by Phase I attendees; and Phase 3 is for people on the waiting list. Sign up now at cincinnati.dinerenblanc.com/register. “This year promises to be bigger, better and more sophisticated than ever––with a surprise location that’s going to showcase Cincinnati in a really special way,” says Casey Gilmore, one of the event’s hosts. Every year in cities around the world, thousands of people dressed entirely in white descend on a landmark public space with everything they need for an elegant soirée in tow, including folding table and chairs, gourmet picnic food, fine china, silverware, and tablecloth. Over the course of the evening, the guests eat and celebrate amid live music and dancing. 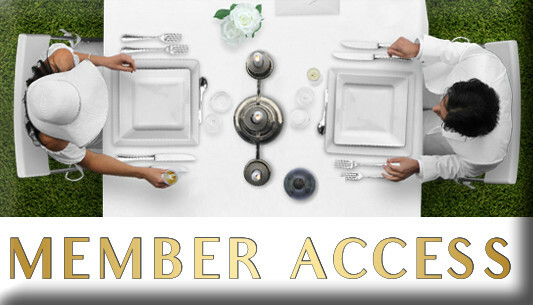 Many spend weeks in advance planning their menus and the white ensemble. The event offers the perfect occasion to express their unique fashion and design style; the often elaborate and creative outfits, fantastical hats, and decorative table settings are always a fabulous spectacle. We were unable to attend last year and registered as "unable to attend". We didn't get a confirmation of our absence. Can we expect an invitation this year? Thank you! I would like to go ahead and renew my annual membership. Can you tell me how to do that before I receive Phase I invitation? Is there a way to confirm that I will receive a Phase I invitation? I have attended Diner en Blanc the past two years. Thanks and looking forward to September 15th! Hi Greg! You can't renew your annual membership just yet. You will do that when you receive your Phase One Email. If for some reason you can not join us September, you will need to register as Absent Member to keep yourself in Phase One for 2019. Thanks, Greg!